Home / Celebrities Gist / Entertainment / Kim Kardashian’s Step Sister, Kylie Jenner, Unveils the waxwork replica of herself, And It Looks Exactly Like Her! Kim Kardashian’s Step Sister, Kylie Jenner, Unveils the waxwork replica of herself, And It Looks Exactly Like Her! Kim Kardashian's step sister fooled everyone including he family when she unvieled her Waxwork replica yesterday, Tuesday 18th July, at Madame Tussauds in Hollywood, because they couldn't tell them apart. 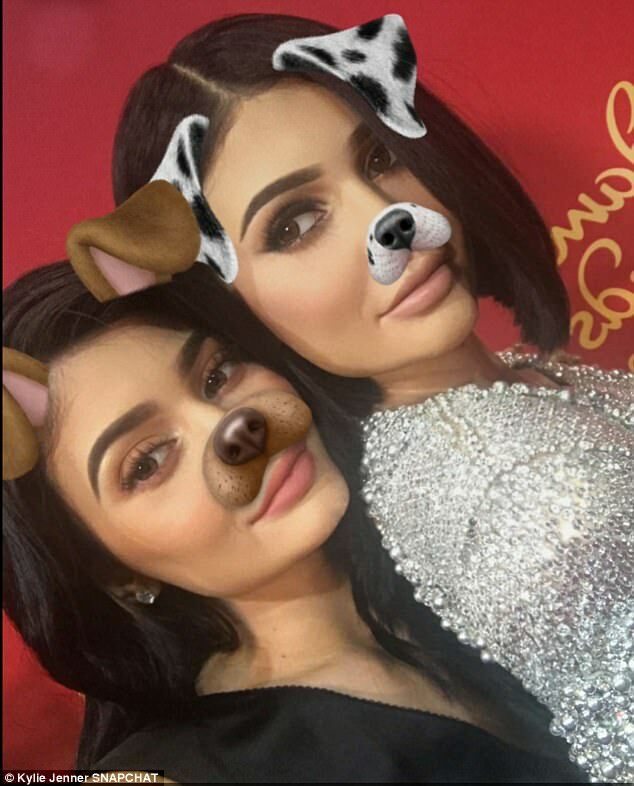 Unlike Ryan Gosling's wax figure which people thought was creepy, Kylie's replica looked exactly like her. As Kylie stood beside her artificail duplicate, it was hard to tell which is which. She later took to social media to share that her family also could not tell them apart. "I made her FaceTime my whole family... fooled everyone". The waxwork was wearing the same dazzling silver gown she wore at the 2016 Met Gala. Kylie later took to Snapchat to reveal that she donated the dress she wore to be used on her replica.